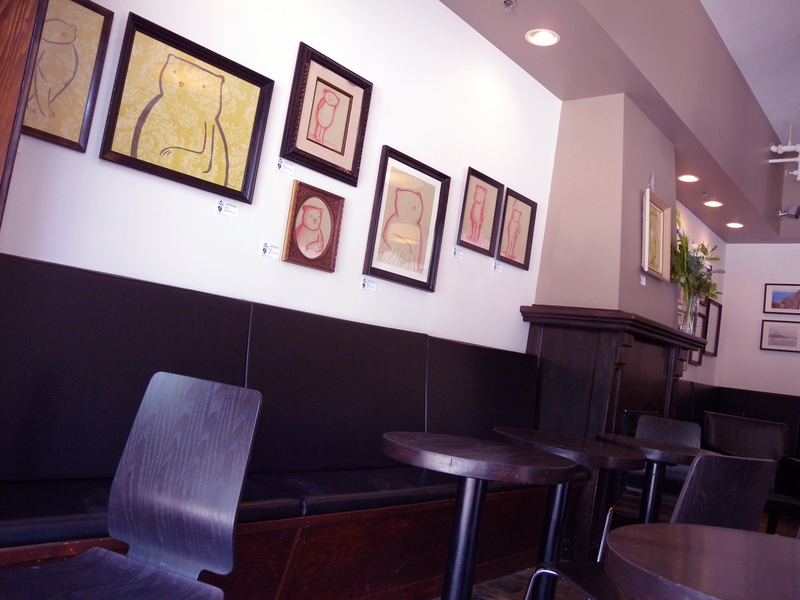 Just finished hanging all 19 of my new bear drawings at Grounded Coffee House. 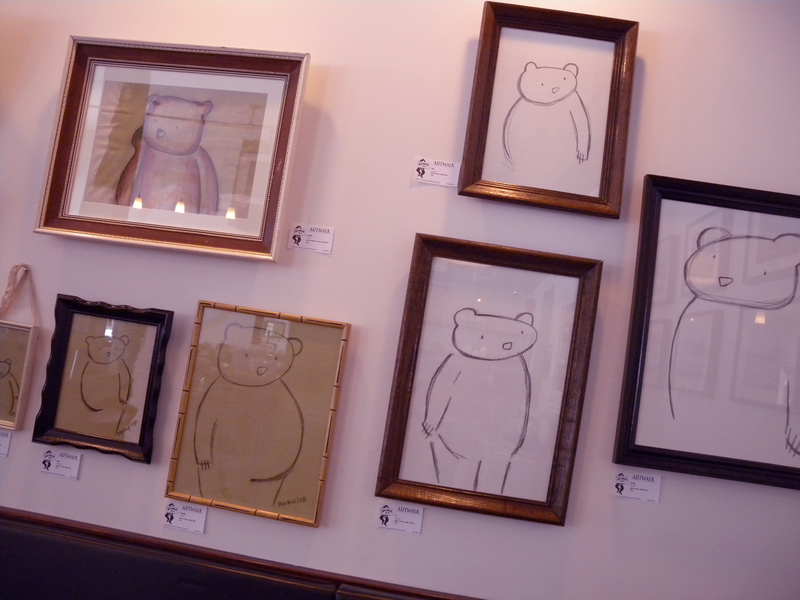 These are all original drawings – but I will have prints of the new bear collection available very soon. 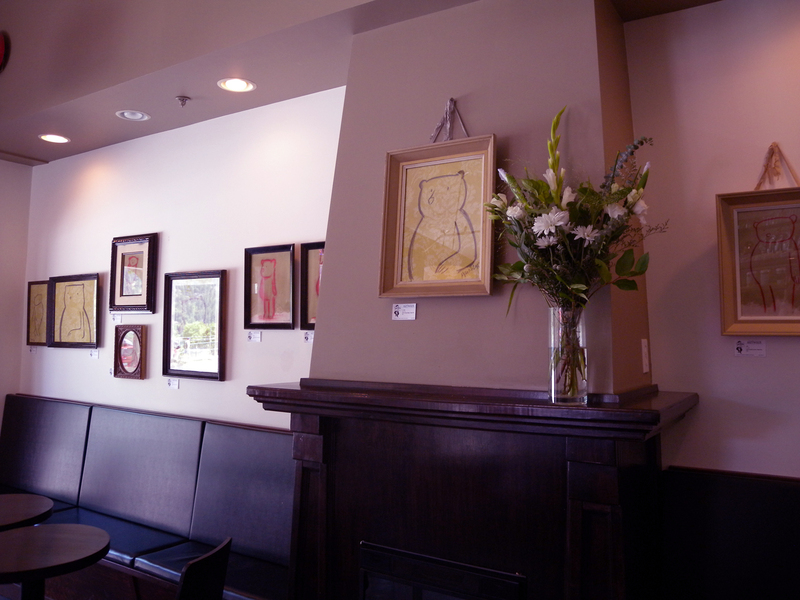 I bought two of your Bears (JoJo and Lear) when I was in a wonderful coffee shop in Nelson, BC. this past winter. I thought I would let you know they are doing well in a downtown condo in Edmonton, AB. Hi Dawn, I remember meeting you that day in John Ward Fine Coffee, here in Nelson. Very nice of you to get in touch and for letting me know the bears are doing fine and behaving themselves. Thanks!